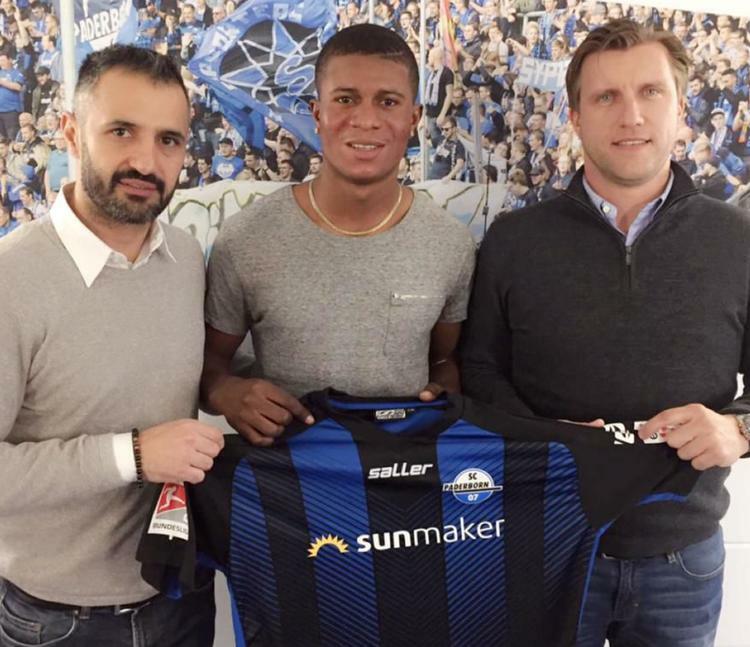 German soccer club Paderborn 07 has signed two forwards from the United States, including former Tyler Junior College standout Mohammed Kamara, to help its bid for promotion back to the Bundesliga, TJC coach Steve Clements said. The second-division club announced Kamara, after a year with UCLA, will join the Paderborn, German club. Khiry Shelton is joining from Major League Soccer's Sporting Kansas City. The 21-year-old Kamara (6-0, 170), who was born in Monrovia, Liberia, scored five goals in 14 games for UCLA. He signed a deal through June 2020 with Paderborn, worth around $300,000, Clements said. “They fit well with our way of playing with their qualities," Paderborn managing director Markus Kroesche said. Paderborn was relegated from the Bundesliga in 2015. After gaining promotion from the third division last season, the team is seventh in the second season. Kamara plays both forward and center-forward. While at TJC, Kamara, nicknamed Keka by his teammates, was named the United Soccer Coaches Association National Player of the Year for 2017. Kamara scored a TJC-record 48 goals in leading the Apaches to the national championship in 2017. He played in 22 games as Kamara missed three games due to injury. The Apaches finished with a record of 23-2 and Kamara had 14 game-winning goals and he also had three assists. In 2017, TJC scored a 2-0 win over Schoolcraft (Michigan) in the national championship game in Prescott, Arizona. Kamara scored the second goal. He was named NJCAA Tournament MVP for the second straight year. Kamara was also a first-team All-America and first-team All-South. In 2017, Kamara led the NJCAA in points (99) and shots (110). He scored multiple goals in 16 of 22 appearances, including eight hat tricks and a pair of four-goal outings. In 2016, the Apaches were 24-0 national champions. Kamara had 22 goals and seven assists for 51 points in 22 games (15 starts). He had six game-winning goals, second most in the country. Kamara recorded a goal on his first collegiate shot, at Coastal Bend College on Sept. 9, 2016 He scored the second of two goals in a 2-0 win for TJC over Monroe (New York) College in the national championship game held at Pat Hartley Field in Tyler. For his two-year junior college career, Kamara tallied 70 goals, 10 assists, 150 points, and 20 game-winning goals in 44 games (37 starts). Karama is the son of Mohammed Kamara and Ma-Bendu Kamara. He was majoring in business administration at UCLA. Paderborn is a city in western Germany. Fellow TJC soccer player Jacob Hauser-Ramsey was drafted 42nd overall by the Colorado Rapids on Friday.